From start (signing up and providing files) to finish (holding the book in your hands), offset printing usually takes six to eight weeks. Why so long? Even though you have files “ready,” a lot has to happen before you can hold the book in your hands. Your files need to be reviewed, the proof needs to be created and delivered, you have to review the proof (and perhaps make revisions), the printers have to print the book, then the finished books are shipped. Here’s a brief overview of our timeline. This assumes your files are press-ready according to our specifications, which you can find here. Let’s dig into the timeline, so you can understand what happens on our end and what we need from you to make printing go smoothly and quickly. 1. Sign up and submit files. Once you sign up, you’ll get access to the Author Center, where all the magic happens. On your Author Center dashboard, you’ll find a number of steps where you can enter and confirm your information (e.g., printing quantity, book specs, shipping info). Giving us this information ensures our system is accurate and your experience is smooth. After you provide the necessary information, you’ll be able to submit your files. Be sure to review our press-ready specifications before submitting to make sure your files comply. A quick check now can save you days or even weeks of hassle later on. This step should take you about a day. If you have questions, your Print Design Coordinator can assist during normal business hours, Monday through Friday, 9 a.m. to 5 p.m. Central. Our design department will double-check your files to ensure they’re print-ready. If your files get sent to the printer and they don’t meet the printer’s specifications, your printing will grind to a halt, so one business day now prevents many delays further down the line. If we find any issues with your files, we’ll send them back to you to fix. Each time we send your files back to you, you’ll revert back to step 1 and repeat until your files are ready according to our specifications. 3. Pay your printing payment. To start the proof process, we need a payment for printing. If you pay with a check, we have to wait for it to arrive. 4. Print and deliver the proof. After your files are approved and you give yourself a high five, we’re able to request a proof from the printer. 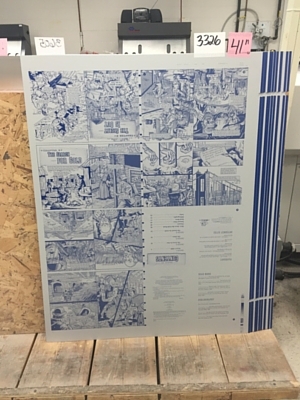 Although we’ve already reviewed your files, they’ll go through another review process, so the printer (which is located outside our company) can create the metal printing plates for your book. Once those are created, you’ll have the choice of a physical proof or an electronic proof. Overnight shipping within the United States is available for physical proofs for an additional $40. The metal printing plates used to create print books. Depending on your offset printer, you may be required to return proofs before printing can start. Your Print Production Coordinator will be able to tell you if this applies to you. What’s worse than slowing down your printing process? Having hundreds of books printed with a glaring spelling error. The proof is your last opportunity to make changes before the full print run. Take the time to make sure there aren’t major issues to correct. Keep in mind that requesting even small revisions will mean going through the proof process again. 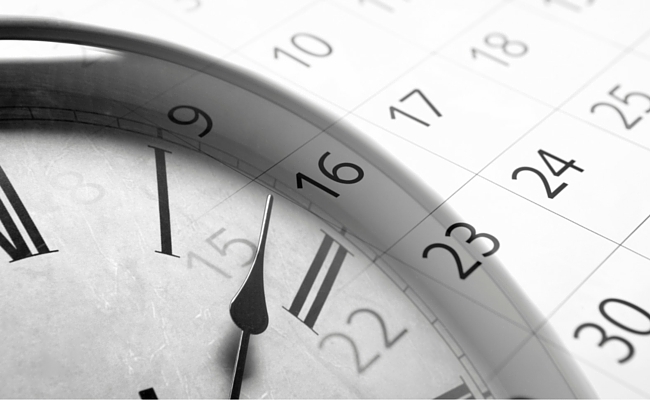 Although the printing timelines vary based on your book’s specs, the following timelines are good guidelines. 7. Ship your books to you. Standard ground shipping will bring your books to your door. Pull out a copy, take a picture with it, and enjoy the satisfaction of holding your book in your hands. Need your books faster? To get a quote for expedited printing, contact our Senior Printing Consultant at (612) 436-3960 or send us an email.